In the Ecuadorian Andes, 3,000 meters above sea level, 1,500 people will benefit from a rural housing reconstruction project. 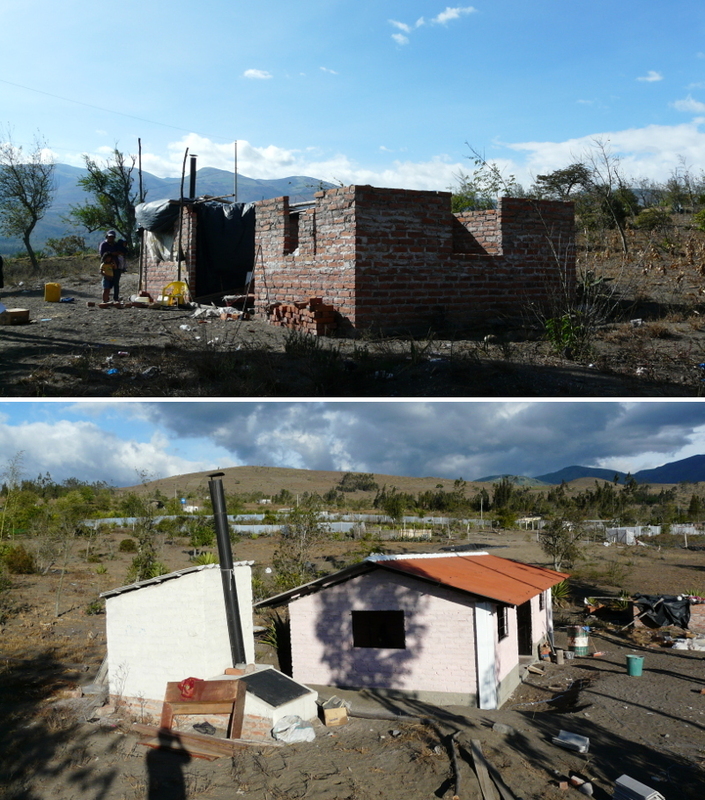 The main goal is to improve the habitat, starting with safe housing, by providing the families involved construction materials and assessment, as long as they are willing to intensive involvement in the process. The intervention aims to contribute to the "good living" of the community and the family through a participatory approach, together with material resources, advice and support to the families, with a focus to a participatory and democratic community and reinforcing the value of local culture. 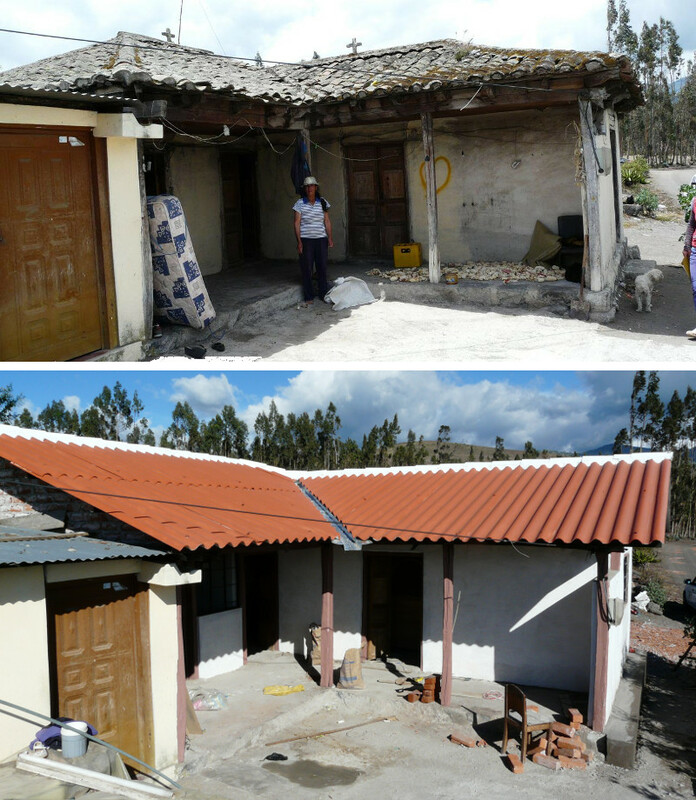 Based on a community participatory assessment, the small Andean communities of Chingazo, located in the province of Chimborazo, Ecuador, developed a project to improve housing and regeneration of their family plots under the guidance of the EcoSur Ecuador Foundation. In the area, 81% of families live below the poverty line. They are mostly artisans, farmers and informal workers. The lack of economic resources adds to the difficulty of access to formal credit, which prevents families improving their housing themselves. Many homes have several years with little or no maintenance, specially on walls and roofs. In addition, the area has a severe lack of drinking water, irrigation and sewerage. The communities are in the risk zone of the Tungurahua volcano, which requires that homes have strong roofs to withstand winds, dust and volcanic ashes. Additionally, it is necessary to analyze the support structure to create a suitable habitat including adequate sanitary solutions. Social housing plans of the Ecuadorian government have come to a few families in the area. Many people can't prove the ownership of their land, which is one of the prerequisites for access to government housing programs. All families in the area were evaluated and in consultation with the leaders of the community and in the community general assembly, families candidates for intervention were defined. 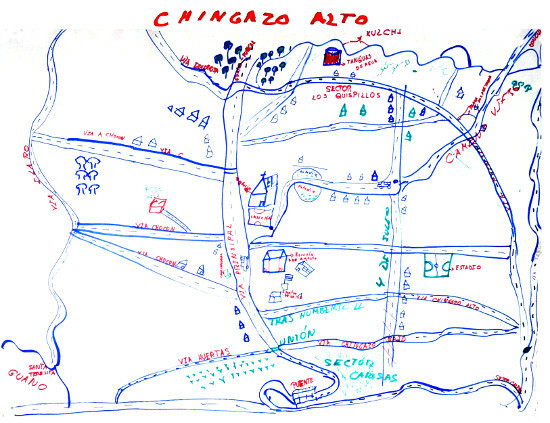 Following the participatory methodology of the Argentine architect Rodolfo Livingston, an architectural diagnosis of each house is made taking into account the priorities and needs of each family. The budget and an intervention plan that is then socialized with the family and with the support of the financial office staff, the family themselves decide the destination and the amount used in the home improvement. The architectural diagnosis takes into account, besides the house, all the immediate habitat: location of the plot, access roads, sanitation status, the possible use of the land, family growth, elimination of gray water and trash, etc. It is a priority to improve the sanitation situation, so, no major architectural intervention must be done without first installing a dry toilet in the house. Each intervention costs between USD 1,100.oo and 4,400.oo. The debt acquired has a 40% subsidy, with very low interest rates, to be paid back within three years.Of course, their real possibilities of serving a credit is in the centre of the analysis, the discussion to determine the possible debt ceiling. In addition to the architectural work, minor improvements are considered in the immediate habitat, oriented not only for comfort but also for the productivity of families. Small "eco-technologies" will be provided with a 70% subsidy, as an efficient wood stove, solar water heater, basic seed nursery, gray water treatment system, egg incubator, corn silos, among others. With these small but effective interventions, the project wants to improve the living standard of the area, besides, it will create a revolving fund to increase the project coverage by 2017.